DANA POINT, Calif. – A multi-year deal has been reached between TORC (The Off-Road Championship) and Crandon International Off-Road Raceway, giving the Series the exclusive rights to race short-course off-road events at the legendary venue. Crandon is regarded as off-road’s most admired track and has been for more than 40 years. It has been deemed the “birth place of short-course off-road” by revered racers and historians. Nestled in Crandon, Wisc. (population: 2,000), the track is a cultural phenomenon, drawing more than 50,000 fans from around the country to the historic Labor Day weekend event. Over that timeframe, the rural community and its beloved Raceway are turned into the epicenter of off-road racing. Next year happens to mark a historic milestone for the venue. “With Crandon International Off-Road Raceway’s 45th anniversary coming in 2014, we are pleased to say we will continue working and growing with TORC for many years to come,” said Cliff Flannery, track President. Birtwell also stated the extension with Crandon is expected to be the first of many announcements regarding plans for 2014. “We are taking a calculated approach to 2014 while balancing that with new opportunities and changes that will make TORC best in class,” he said. 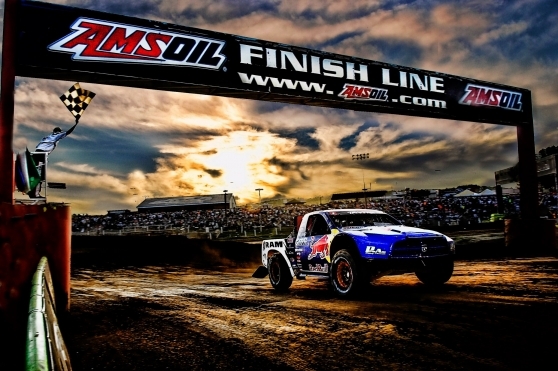 Fans can look forward to two TORC races at Crandon International Off-Road Raceway in 2014. The first is June 28-29, 2014 with Championship weekend scheduled for August 30-31, 2014.